This news will leave Naira (Shivangi Joshi) devastated and she will meet with a deadly accident and suffers memory loss. 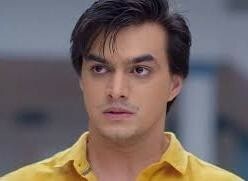 She will forget Kartik (Mohsin Khan) and at this point the show will witness a short leap. Naira will be joining college and starting a new life but Kartik is not willing to leave Naira. He will also join the same college as a professor and tries to win Naira’s heart once again.